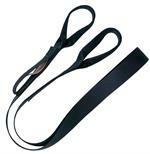 The Webbing Ladder offers the simplicity of traditional 1” etrier with increased step comfort. 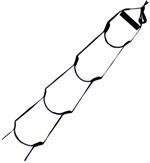 A built-in spreader bar and stays in the 7” wide steps keep the ladder open and reduce foot pinching. 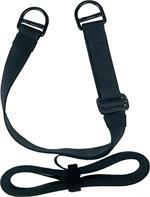 Adjustable for multiple Rescuer heights and uses.